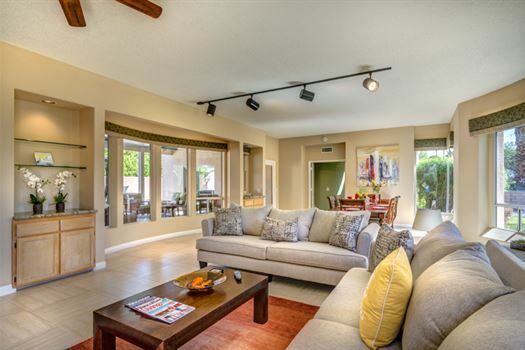 Located in the heart of the upscale Movie Colony area in Central Palm Springs this recently renovated 2700 sf home is a Palm Springs dream. 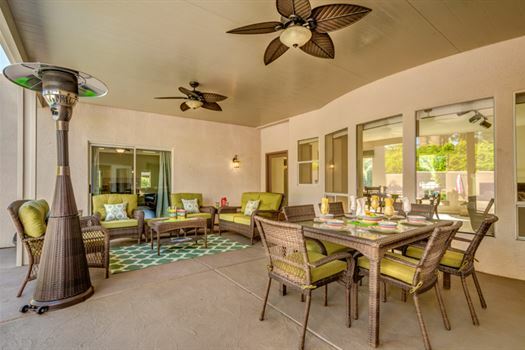 The backyard features a large pool, spa, gas BBQ, Chaise Sun loungers, wonderful views of the San Jacinto Mountains and a secluded patio with plenty of comfortable chairs and a dining area. 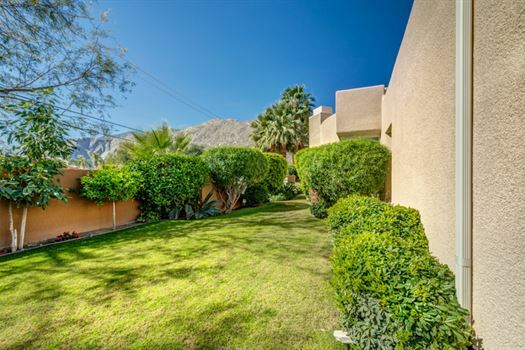 The side yard has grass combined with beautiful desert landscaping. 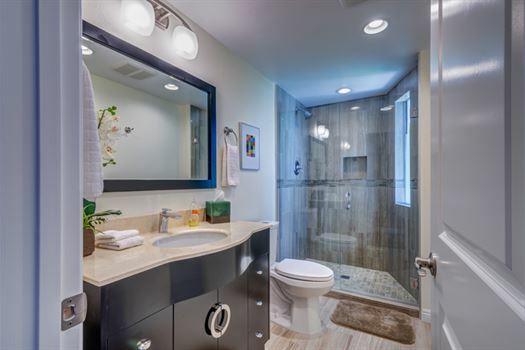 Inside you’ll find a large gourmet kitchen which features stainless steel appliances, granite countertops, and lots of storage and prep space that opens onto a breakfast nook area, there is also a separate utility room and powder room. 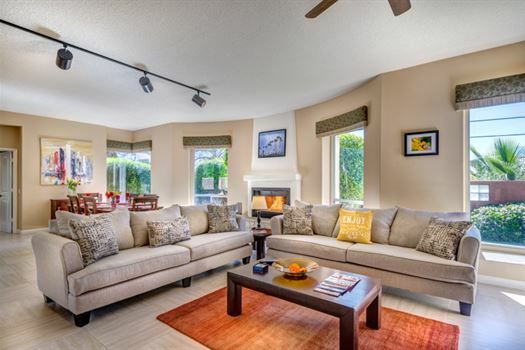 A striking living room features a fireplace, 50’ flat screen HD SmartTV, formal dining area, all which faces on to the pool & spa. 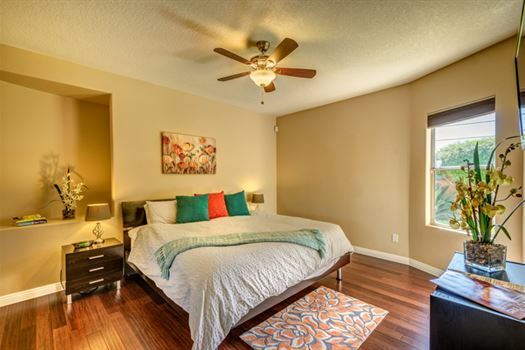 The master bedroom suite has a king size bed, sofa, 42’ flat screen HD TV, walk in closet, direct access to the pool and patio and the en-suite bathroom features dual sinks, dual showers and stunning Italian marble. 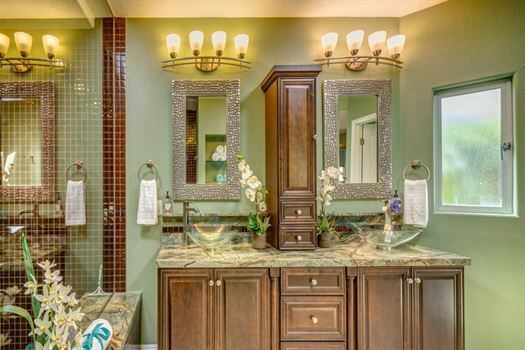 The master bathroom is simply to die for! 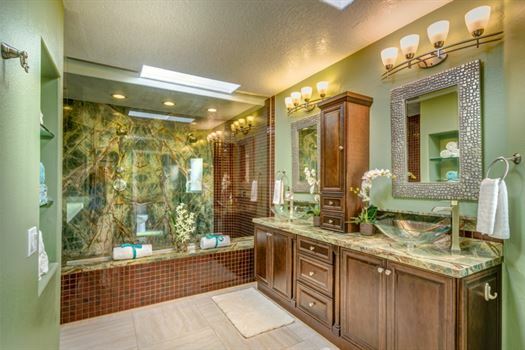 Exquisite doesn't even come close to describing what you have to see in person; stunning choices and use of rare marble & 10ft long shower complete the setting. 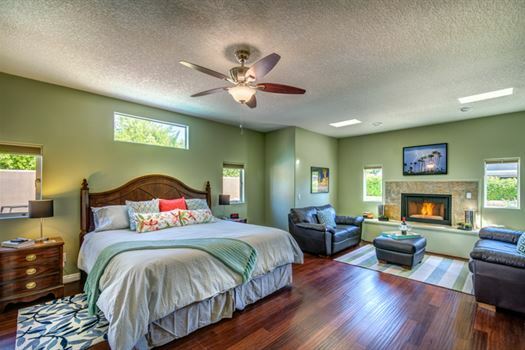 There is an additional master bedroom at the opposite end of the house with a king size bed, flat screen TV and an en-suite bathroom built in 2015. 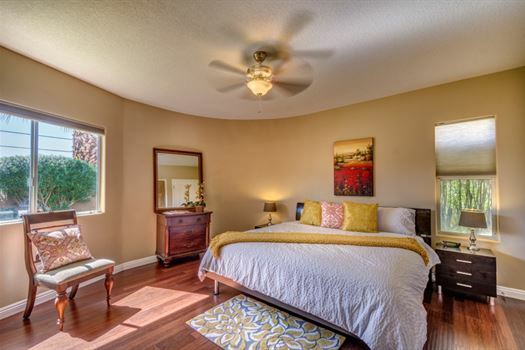 Another king size bedroom with flat screen TV has an adjacent bathroom with bath/shower combo and dual sinks. 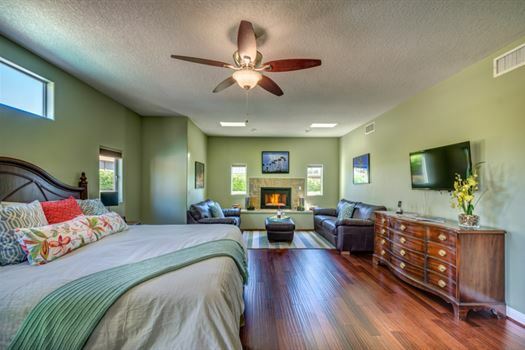 All rooms in the house feature ceiling fans and air/central heating. 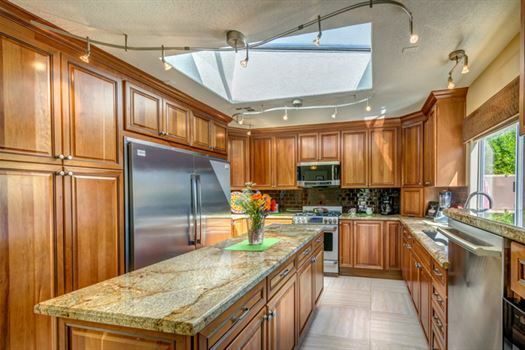 This home has an attached two car garage with extra parking for 2 cars on the drive. Dine indoors or outdoors and lounge by the pool. 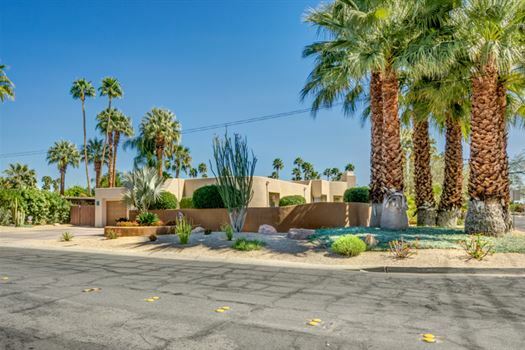 This classic Palm Springs home is an entertainer's delight - open flow, sleek, stylish, central location, with unbelievably gorgeous Mountain views! 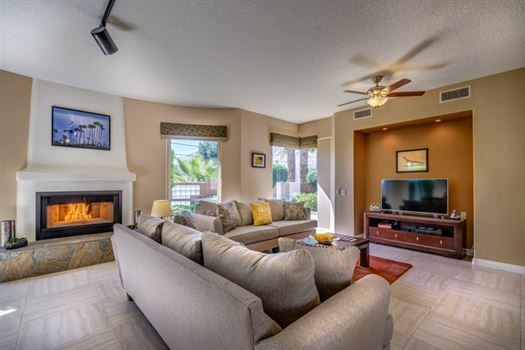 Short walking distance to the famous Ruth Hardy Park, public tennis courts, Casino and Downtown Palm Springs. 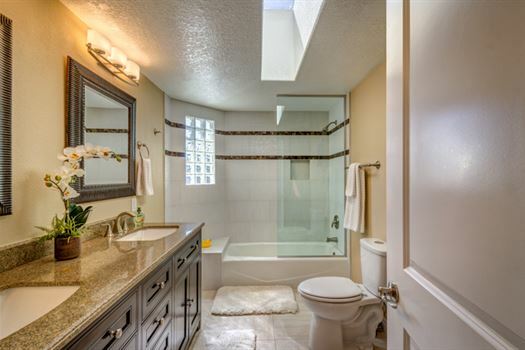 This home is close to shopping, golfing, hiking, casinos, restaurants, and bars. This is the perfect home away from home! To view actual rates for your stay please click on the BOOK NOW button. Special event and holiday rates may be higher. City tax 11.5%. Pool heating optional with an extra fee. Cleaning fee required. Refundable damage deposit required. This home is not pet friendly. Renter must be 25 or older. Authorized pets only. Authorized pool heating only. NO Smoking indoors or outdoors except in designated smoking areas. 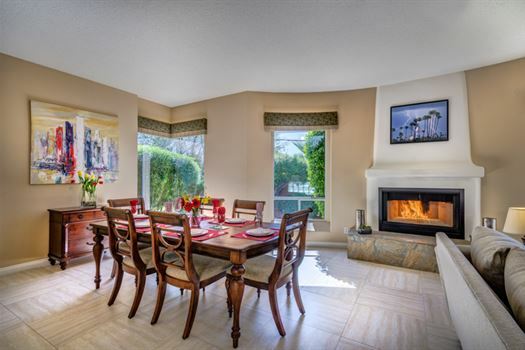 100% complaince with Palm Springs Vacation Rental Ordiance 1848 is required for all rentals. NO parties or gatherings are permitted. NO Outdoor Music is permitted 24 hours/ 7 days a week, 365 days a year. NO outside noise 10pm - 8am & Maximum Occupancy of 6 people is strictly enforced by city ordiance. Pets are not permitted. Parking for 3 cars ONLY (1 per bedroom) 3 is maximum permitted cars to park on property or near property. The city will be patrolling and counting cars. 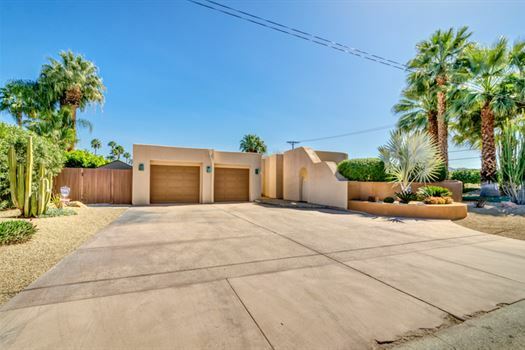 The home is centrally located in the Movie Colony area just minutes from downtown Palm Springs. 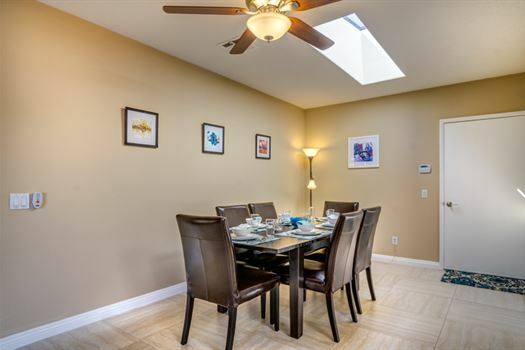 Walking distance to Ruth Hardy Park, restaurants, coffee shops, and everything Central Palm Springs has to offer. Next door to Miraleste Retreat. I booked this home for the 4th of July long weekend and I could not be happier. My friends and I were absolutely blown away by the house and everyone kept commenting on how this was their dream vacation home. The house was even better than the pictures, spotlessly clean and a variety of places to just relax. Eva gave me the run-down when I arrived, letting me know how everything worked. She even left us great margaritas and snacks to enjoy as we unpacked. Long story short, this house is INCREDIBLE!! We will definitely be back and are even talking about checking out some of Oasis' other properties because we had such a great time. My sisters and I recently spent a wonderfully relaxing three weeks in this pristine property. 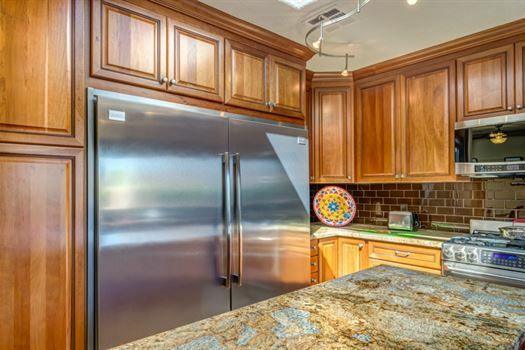 The whole home feels spacious, yet comfortable and the well equipped kitchen a delight to work in. Nothing has been forgotten in this fabulous house and the pool and outdoor area was superb, one of the best I have ever seen, and I have seen quite a few around the world. We were able to walk into downtown Palm Springs to a wide variety of shops and restaurants. I didn’t want to leave this lovely oasis and hope to return soon.